Julián is the Founder and Director of Socialab, a platform where more than 300,000 creative people propose solutions to overcome poverty and other social problems. The organization runs competitions for technology-based business proposals that address major problems wrought by poverty in the region: food insecurity, lack of clean drinking water, struggling public education and so on. Then it taps its virtual community of 300,000 users to identify the best ideas and fine-tune them. The network is the largest open innovation platform in the world. After spinning off from the youth-led Chilean nonprofit Techo in 2007, Socialab began hosting crow-sourced competitions in 2010 shortly after Ugarte participated in Singularity University’s 2010 GSP Program. Drawing its own funding from grants, including ongoing support from the Inter-American Development Bank and Movistar Chile, Socialab then incubates the winning projects, encouraging the nascent companies to test their products on real users and continue to iterate on their products. When it’s clear that the products will sell and the revenue model is solid, Socialab and the company approach investors. In 2014 Socialab whittled 15.000 proposals down to 111 products that it supported based on $2.1 million in grants. It was incubating 35 companies. Among the projects Socialab has supported are MirOculus, a blood test for multiple forms of cancer (the company’s medical lead also participated in a Singularity GSP); Algramo, a Chilean company that uses a business model similar to Groupon’s to negotiate lower prices for food and household items; and Plasma Water Sanitation System, a pump that uses pressure and electricity to purify drinking water. The mentioned projects have affected more than half a million people in less than 2 years. 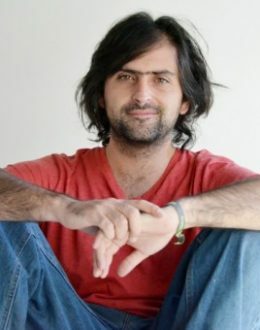 Julián is also a founding partner of IF (an innovative pole of business and culture in Santiago of Chile) and is one the directors of the innovation festival, FiiS. The work of Julián and Socialab has been distinguished by the World Economic Forum, the UN, Harvard, the Washington Post and CNN. Also Julián is Ashoka Fellow, Ambassador of SocialGood at UN Foundation, and Singularity University, World Impact Design Prize nominated (Finland). The talks of Julián are an explosion of knowledge about the world and society we need to build.